High 5 @ Hanging Rock, Saturday, beginning at 7 a.m., Hanging Rock State Park, Danbury. Our friends with the Friends of Sauratown Mountains do a great job supporting both Pilot Mountain and Hanging Rock state parks, the west and east endpoints, respectively, of the Sauratown Mountain range. They support the parks in a variety of ways, one of which is by funding some of the smaller park projects that might not otherwise get done. Where do they get their money? you ask. From events like High 5 @ Hanging Rock. 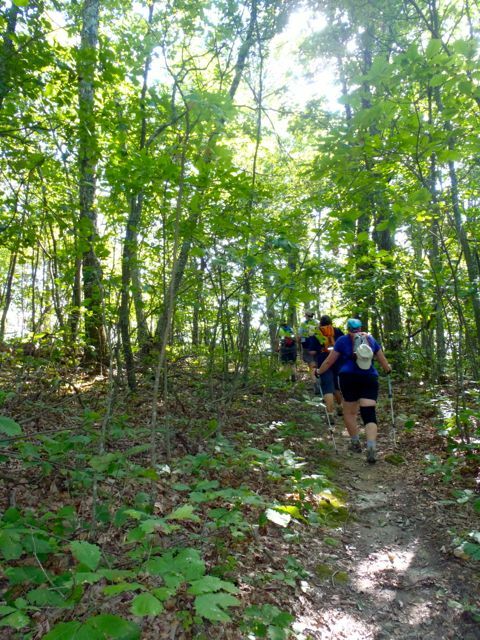 The goal of High 5 is to hike all 5 of Hanging Rock’s key high points: Moore’s Knob, Cooks Wall, Hanging Rock, Wolf Rock and House Rock. Complete the circuit and get a patch! There are two rest stops along the route, foot trucks at the finish (get a $5 food truck voucher upon registration). Cost is $40, which, again, will largely go to benefit the parks. Learn more and sign up here. Big Canoe Adventure, Saturday, 10 a.m., Pettigrew State Park, Creswell. Now, most folks would read this as a Canoe Adventure that’s Big — you know, like a multi-day canoe trip down a remote river. Fewer would read it as an Adventure in a Big Canoe. But the latter is what the Big Canoe Adventure is, a chance to paddle a 29-foot canoe with 11 other folks, and adventure akin to what the French Canadian voyageurs did as they beaver-trapped their way into the Canadian unknown. On this Big Canoe Adventure, however, you’ll be paddling on Lake Phelps. Learn more and sign up here. 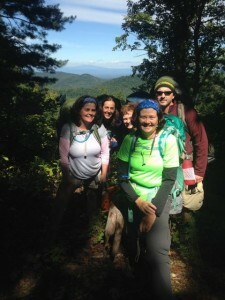 Guided Balsam Nature Hike, Saturday, noon, Mount Mitchell State Park, Mount Mitchell. You know warmer weather can’t be far off when Mount Mitchell starts scheduling hikes. Access to the park is via the Blue Ridge Parkway (unless you hike the Mount Mitchell Trail, which gains 3,700 vertical feet in 5.5 miles), and the Parkway is frequently closed by snow and ice in winter. So yes, pretty exciting that you can take a ranger-led hike through a balsam forest that’s only found in the South at the highest altitudes (Mitchell tops out at 6,684 feet). If you go, expect partly cloudy skies and a temperature in the upper 40s. More info here. What are we up to this weekend? Lots! GetHiking! 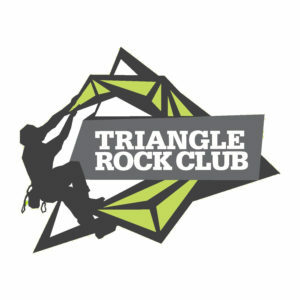 Triangle: High 5 at Hanging Rock,Saturday, April 6, 7 a.m. Hanging Rock State Park, Danbury. Strenuous. 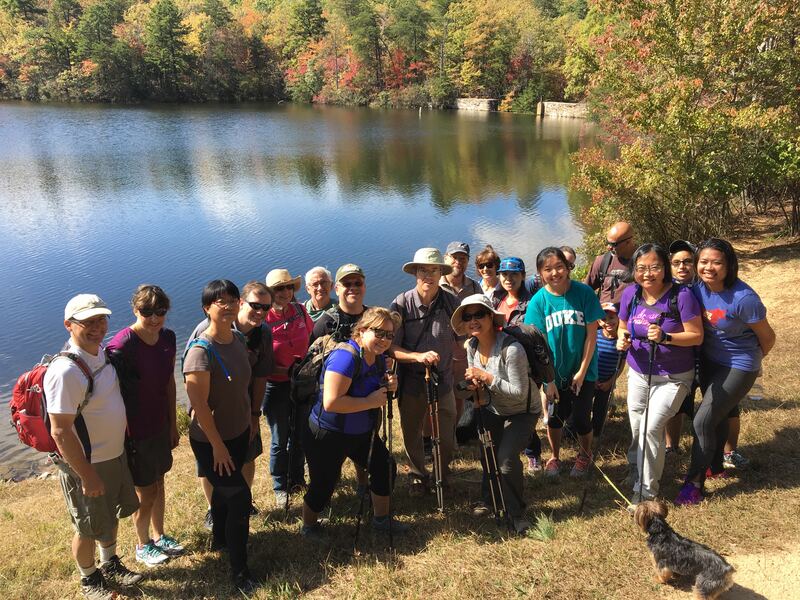 10-mile trek to the five peaks of Hanging Rock State Park. Learn more here. GetHiking! Charlottesville: Punch Bowl Mountain to James River Footbridge,Sunday April 6, 7:45 a.m, Fontaine Research Park, Charlottesville. Strenuous. Hike highlights: Appalachian Trail, Punch Bowl Mountain, Punch Bowl Shelter. Learn more here. GetHiking! Charlottesville: Milam Gap to Big Meadows,Sunday, April 7, 9 a.m. Barracks Road Shopping Center, Charlottesville. Easy. 5.5-mile hike leading up to the backside of Big Meadows. Learn more here. This week’s video is from our hike last weekend at Little River Regional Park on the Durham/Orange county line. Based on the weekend forecast, expect conditions similar to what you see in the clip. For information on the park, including directions, go here.